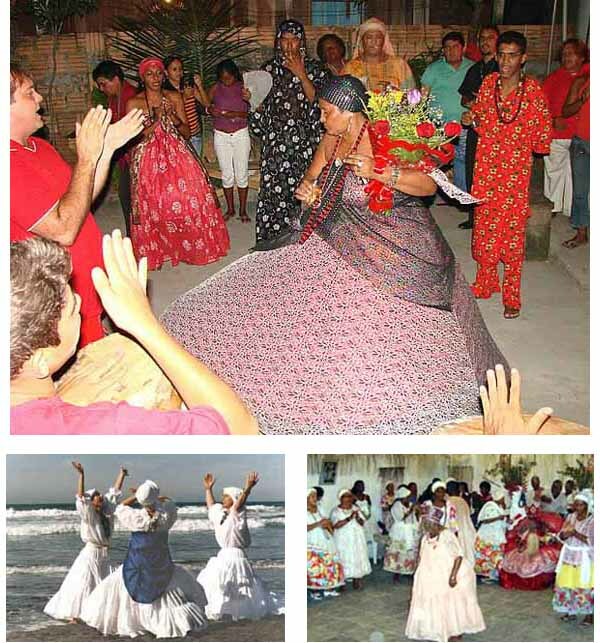 Candomblé or umbanda, is the Brazilian voodoo. It is an African animist and fetishist practice that started in Brazil among the blacks, incorporating some elements of Catholicism into it, such as veneration of the Saints. Candomblé music - with its special axe rythmn, is an essential part of the ritual, performed to invoke the deities Orixás to enter the body of one of the mediums present to communicate with the group and orient it. Above, you see some pictures taken at an Axe Mass performed in São Paulo, in a neighborhood of Itaquera. The women present are wearing the dresses of candomblé priestesses. Led by the priest, Fr. 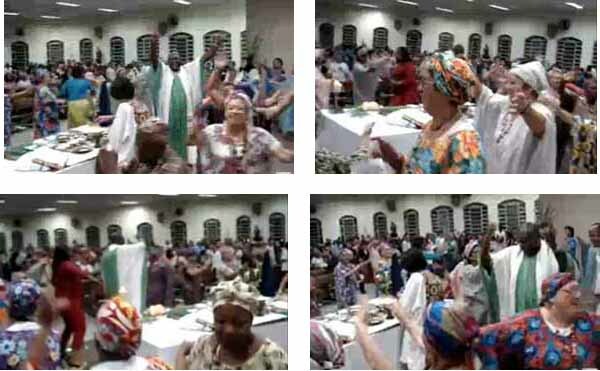 João de Campos, they dance around the altar asking Our Lord to come to communicate with them. To watch the video, click here. What a extravagance! What a desecration! Yes, it certainly is. But permission for this and other extravagances and desecrations is coming from the top. Indeed, at several meeting with the African Bishops, Benedict XVI stressed that they should see the positive sides of the primitive religious practices of their countries. Below, priestesses of candomble dancing to Orixás in their characteristic garb. What Is Good and Bad in Halloween?